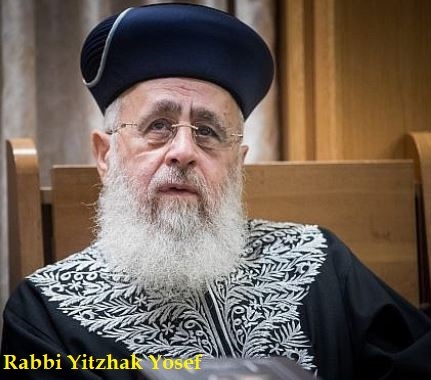 In a sermon aired by the Israeli news site Ynet, one of Israel’s most senior religious leaders, Sephardic Chief Rabbi Yitzhak Yosef, called black Americans “strange creatures” and “monkeys”. Ynet reports that Rabbi Yosef made the remark on Sabbath night, March 17, 2018, which marked the beginning of the month of Nissan, the first month in the Hebrew calendar. According to Callum Paton of Newsweek, Yosef is the most senior representative of the Sephardic Jews, who trace their origins to the Iberian Peninsula, North Africa and the Middle East. Ashkenazi Jews, originally from Europe, are led by Chief Rabbi David Lau. In May 2017, Yosef compared secular women to animals because they dressed immodestly. In March 2016, Yosef was forced to retract a comment that non-Jews should not live in Israel. He said he was speaking theoretically and in practice non-Jews could live in Israel if they kept religious laws such as not committing idolatry and not eating the limbs from a live animal. He also said non-Jews in Israel should serve Jews. Rev. I. B. Pranaitis, The Talmud Unmasked: The Secret Rabbinical Teachings Concerning Christians, first published in St. Petersburg in 1892. This entry was posted in Israel, Judaism/Jews, Racism and tagged Rabbi Yitzhak Yosef. Bookmark the permalink. I disagree with ADL when there is too much evidence against their explanations, such as the whistleblowers who speak out with evidences and as a member who is living within the jewish communities.